The genes of the American cockroach, seen above, have allowed it to survive virtually everywhere in the world. 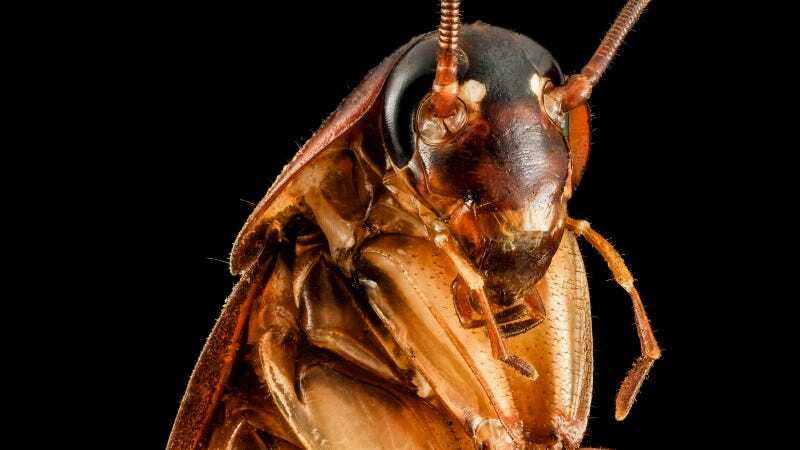 Cockroaches have been one of humanity’s most unwanted, yet admirably persistent, roommates for thousands of years. But despite our reluctant intimacy, there’s still a lot we don’t understand about these insects. A new study, published today in Nature Communication, unpacks the genes that make roaches tick—and helps explain why they’re so damn hard to get rid of. Chinese researchers sequenced the genome of the American cockroach (Periplaneta americana), and directly compared it to the genomes obtained from two related species, the Australian cockroach (P. australasiae) and the smokybrown cockroach (P. fuliginosa). They also contrasted it to available genetic data from other insects in the same broad order known as Blattodea, such as termites (recently inducted into Blattodea after years of grousing from entomologists) and the German cockroach (Blattella germanica). They found that the American roach has one of the largest genomes known to exist among insects, second only to the common locust. As expected, the American roach was genetically very close to the other two Periplaneta roaches. But it was actually more related to the two species of termites they compared it against than to the German cockroach. That discovery means that American roaches (a misnomer, since they were likely introduced to the New World from Africa around the 16th century) could serve as “a valuable model to study the evolutionary relationships between cockroaches and termites,” the researchers said. In studying the roach’s evolutionary history, they also found evidence that certain families of genes have become much more expansive over time, particularly those associated with chemoreception and detoxification. Chemoreception is essentially an animal’s ability to smell and taste the world around it. American roaches have accumulated a massive stockpile of genes that have gifted them with more bitter taste receptors. 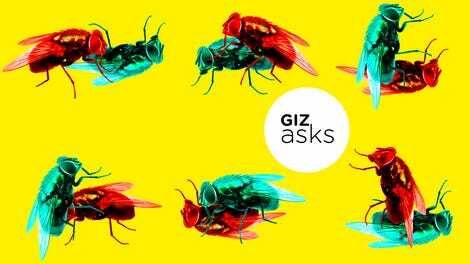 These genes have likely helped the omnivorous insect expand their foothold across the world, by letting them stomach a wide array of foods no matter where they end up. More detoxification genes, meanwhile, help the roaches survive and evolve resistance to the chemical weapons we’ve developed against them (though roaches are far from the only insect that’s learned that particular trick). The researchers also found genes that explain the roach’s uncanny ability to quickly regrow limbs at certain stages of its lifespan, as well as genes that help the insect change its rate of growth as it ages, depending on how much food is available (American cockroaches are typically the largest of common pest cockroach species). This “developmental plasticity,” as it’s known, is another crucial aspect of how cockroaches can survive and succeed virtually everywhere, the researchers say. More than just an expedition for curiosity’s sake, they hope their findings can help us better combat a growing pest that not only grosses us out, but also spreads disease, causes allergies, and turns our homes into a stinky mess (in the roaches’ defense, only around 30 out of the known 4,500 species actually live near people, and fewer still are serious nuisances). Because American cockroaches are ground up and used in traditional Chinese medicine as a treatment for wound repair, the researchers plan to continue studying the bug to see if they can identify “growth factors” that are responsible for their limb regeneration ability. And they’re already in the middle of sequencing the genome of the wood roach, an insect believed to be more closely related to termites, in order to better understand how termites branched away from their cockroach cousins.